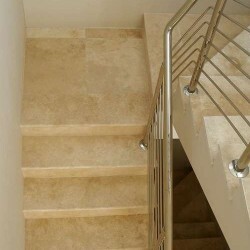 Travertine classico medium epoxy filled has the classic cream to beige colour with medium shading on this specific product. 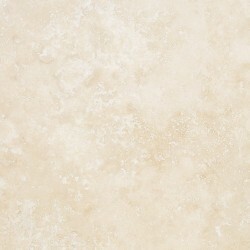 The surface of this tile has been filled with epoxy to maximize smoothness. 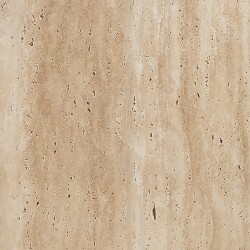 For centuries travertine has been a popular choice for construction of buildings and cities, especially during the Roman Empire. 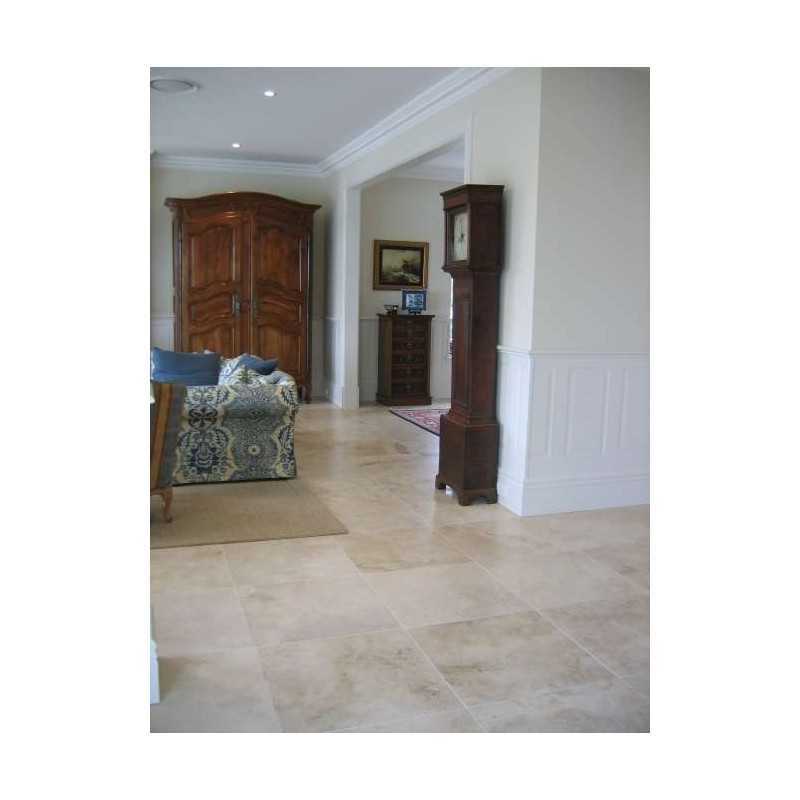 Up until today travertine has been one of the most used building materials all around the globe. 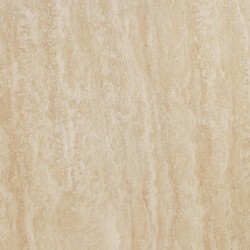 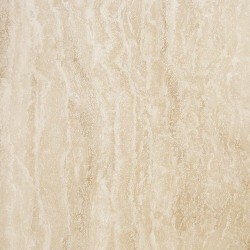 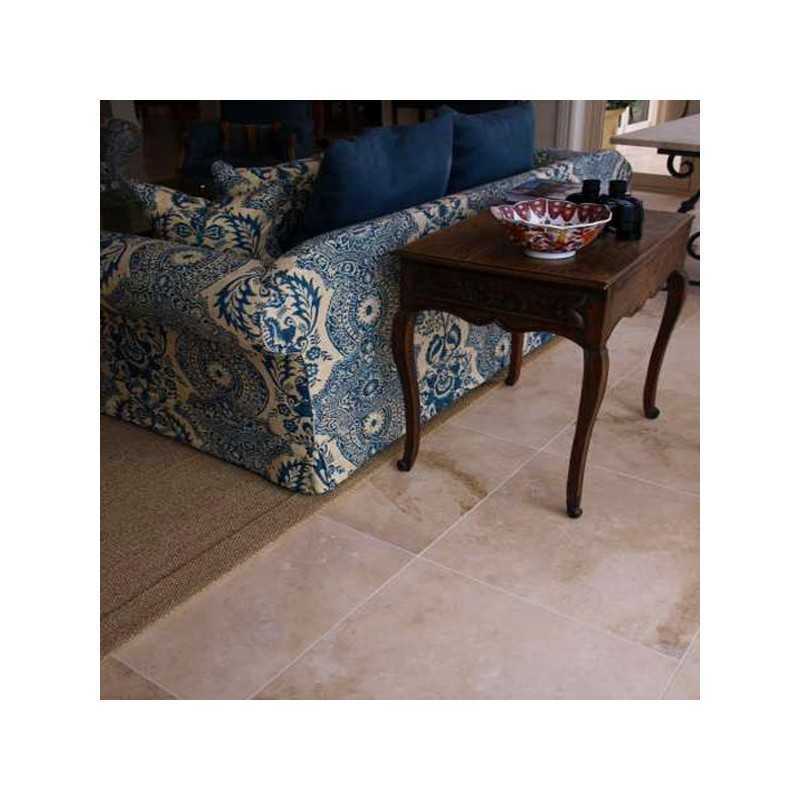 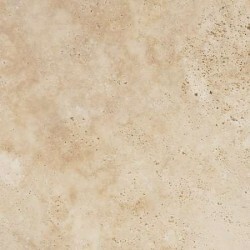 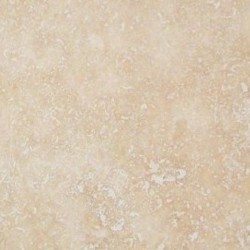 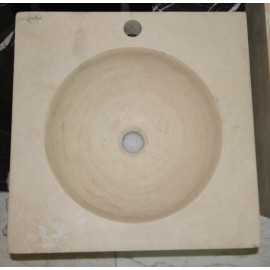 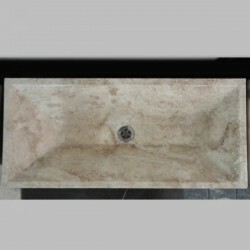 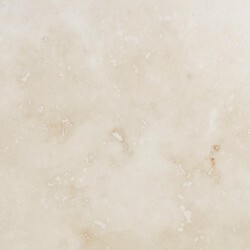 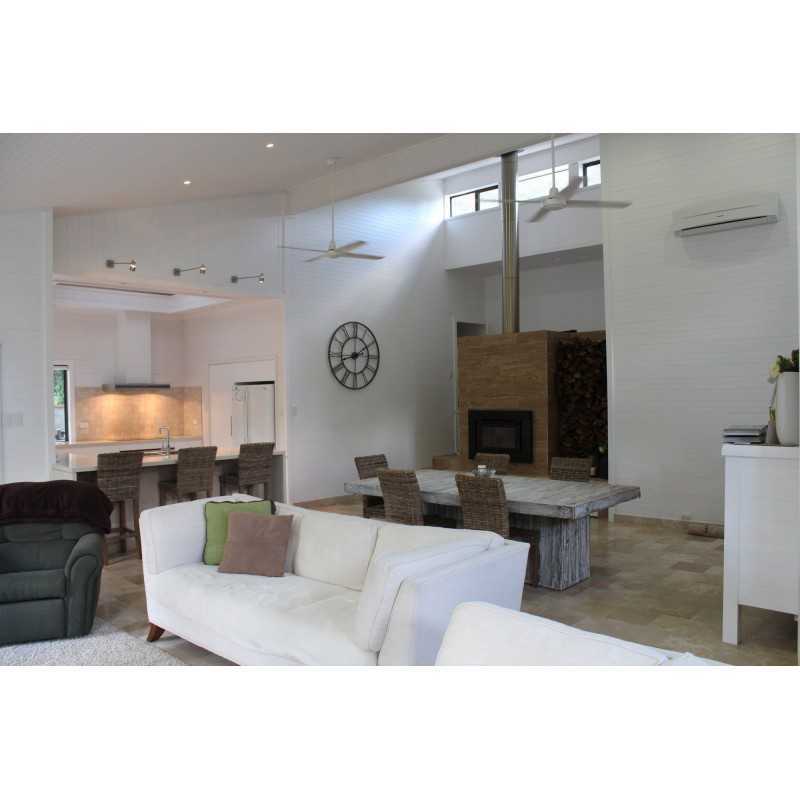 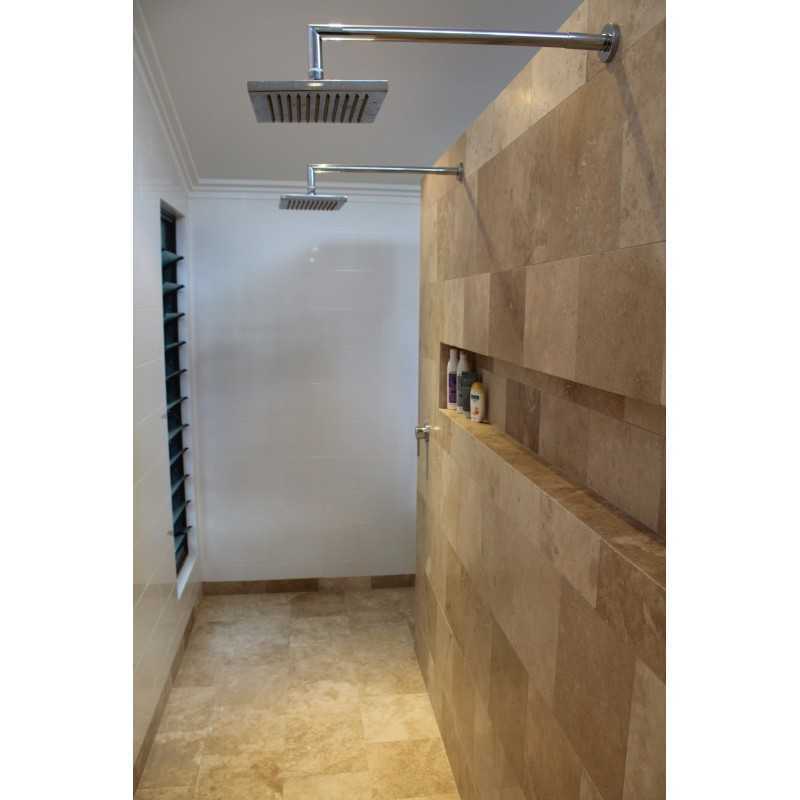 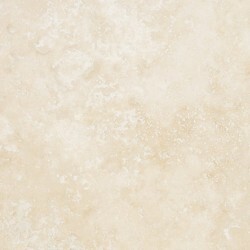 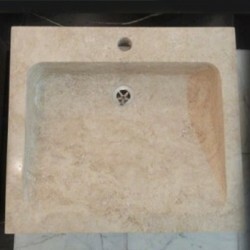 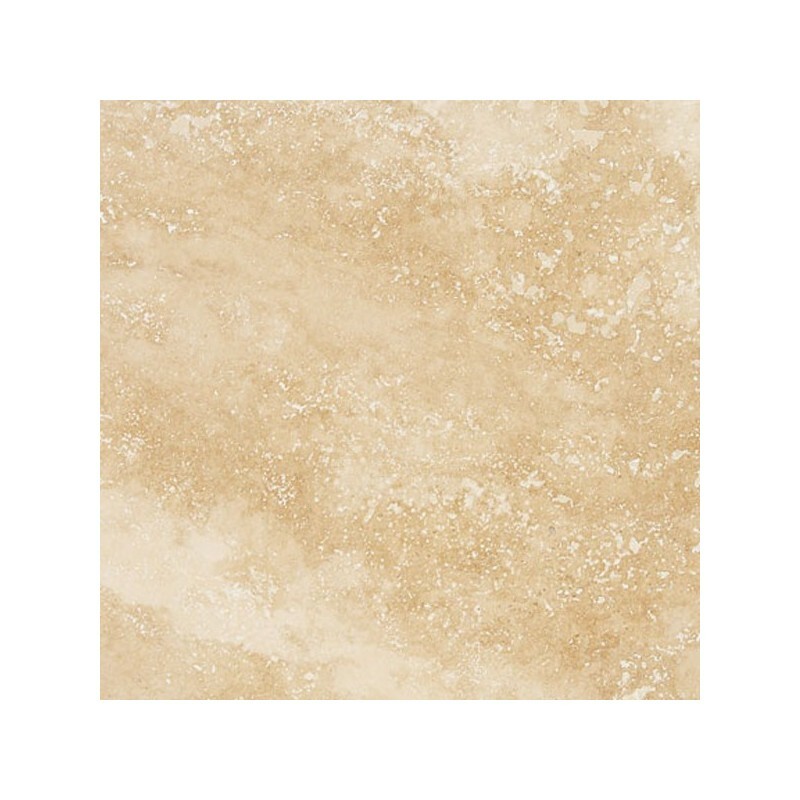 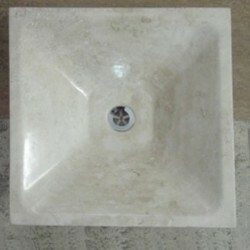 This is indeed due to its economical price, remarkable beauty of travertine, and high durability. 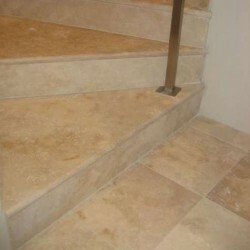 Travertine Classico Medium Epoxy filled honed is one of the most popular choices. 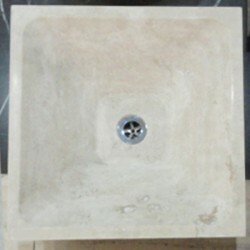 The natural cavities present on the surface of this product have been filled with epoxy to achieve smoothness. 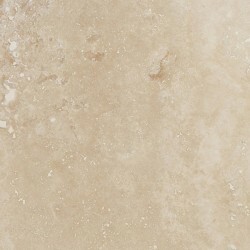 Moreover, this is a cross cut product which means the slabs of this particular product are cut in a way to avoid the natural veinage of the stone to achieve a fairly non-uniform background, consisting of several dark and light patterns. 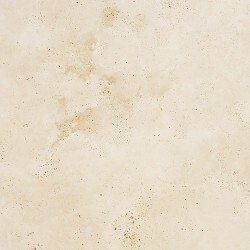 Medium shading of the classic cream colour is the cause of the spectacular natural look. 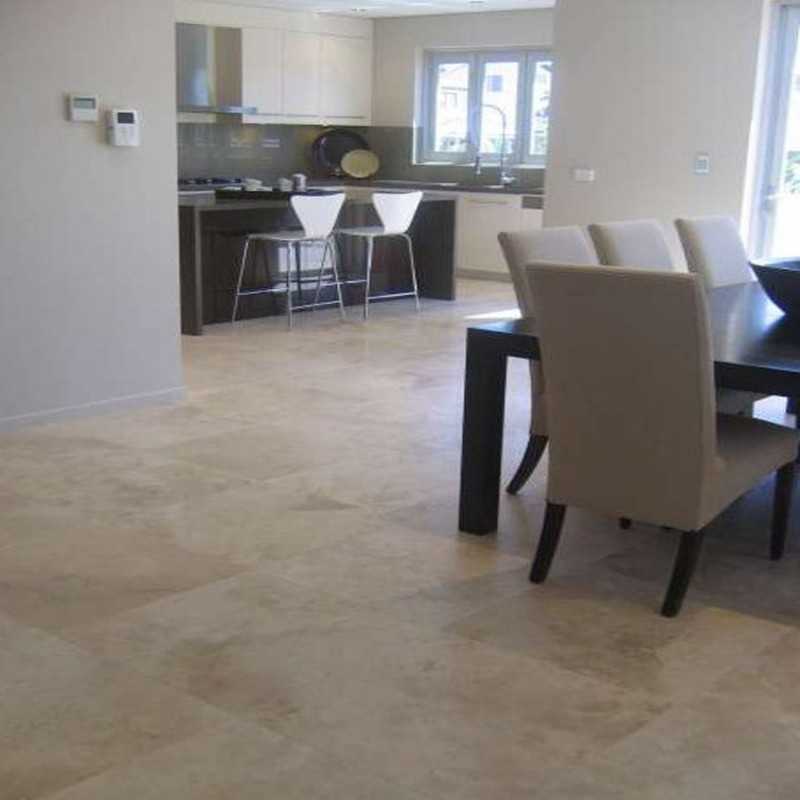 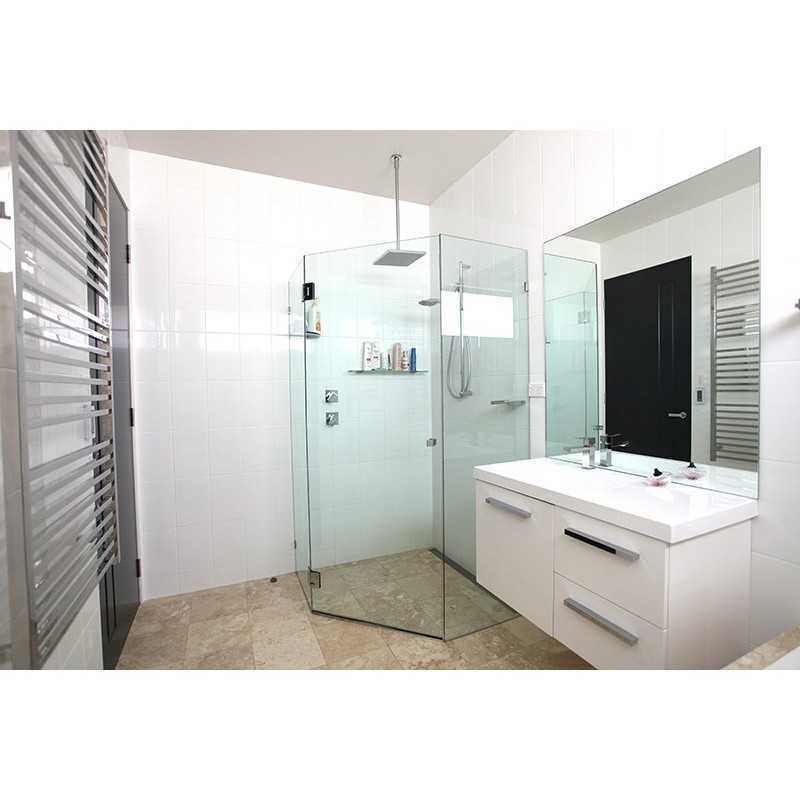 Some areas of application may include: bathrooms tiles, living area floor tiles and walls, kitchen floor tiles, outdoor floor and wall tiles, cladding and much more. 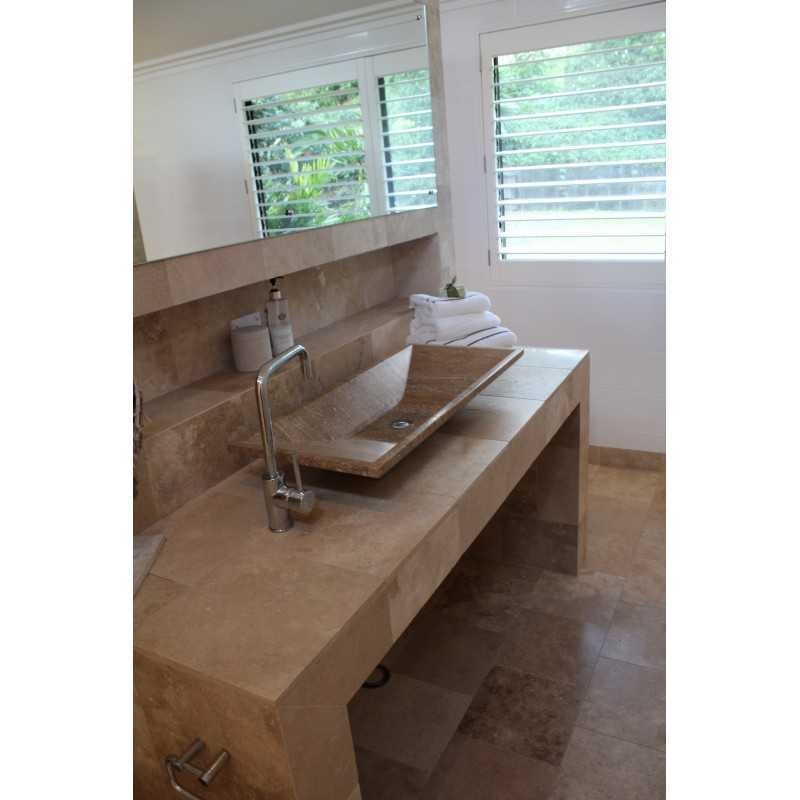 Available formats include: stone tiles, paving stones, steps and slabs, mosaics, and basins. 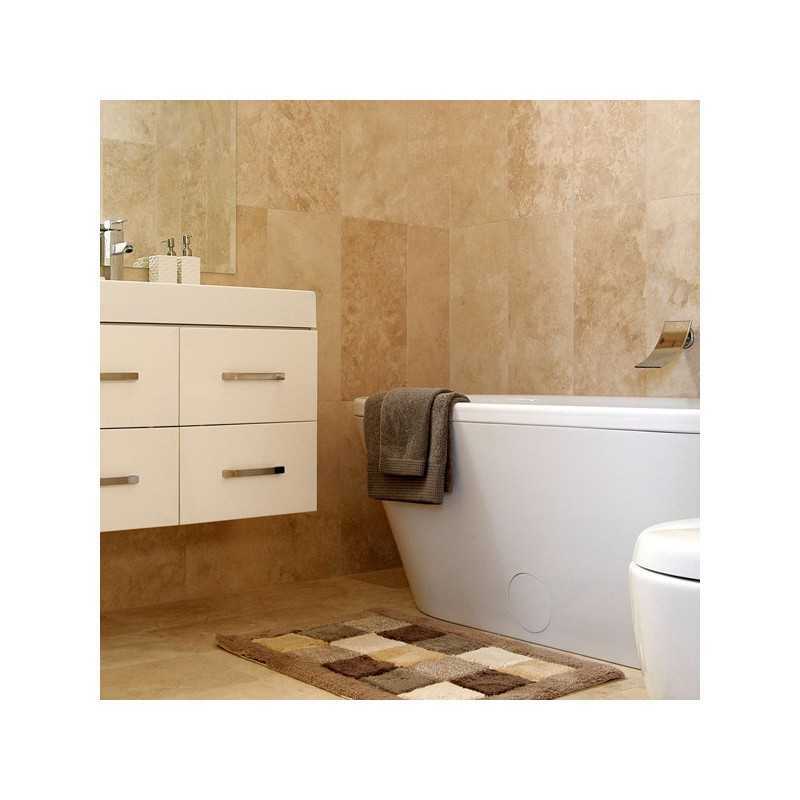 For better maintenance, it is recommended to seal and grout the product especially in wet areas.